Thanks to all thirty-eight people who entered last week's contest and every one who reads my blog. A search through the card box turned up a bunch of vintage HOFers as prizes (with two *), including the clean-cut character below. 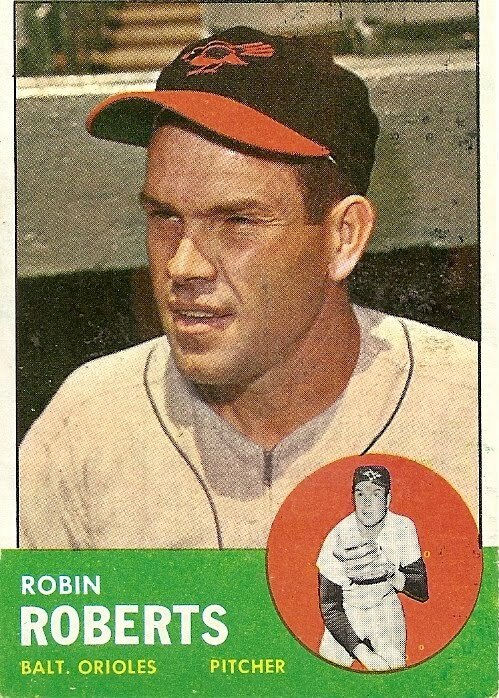 Feel weird saying it, but Roberts looks sharp in that Orioles cap, even if it's not Philly pinstripes. Let's warm up my dice-rolling hand! Let's explain the asterisks. 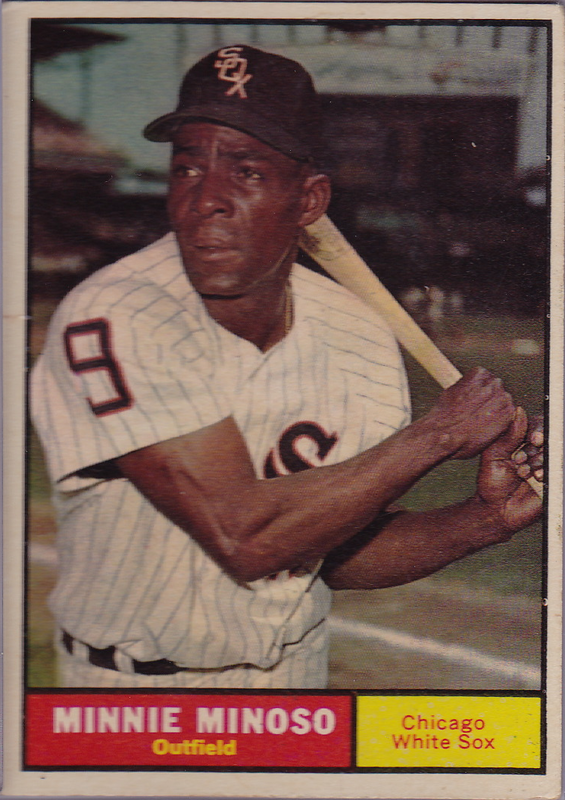 First, Minoso is a member of the Hispanic Baseball Hall of Fame, but makes for a terrific baseball card, so couldn't leave him out. 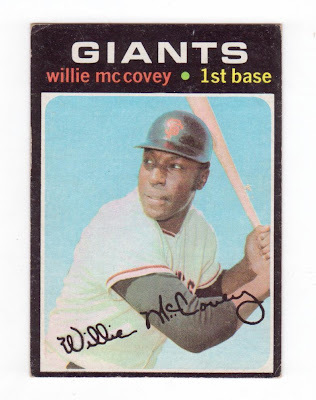 Second, I originally rolled up arpsmith and Mariner1 near their favorite players, so swapped in a 1971 McCovey and (ideally) made them both happy. Winners, please email me (glidden period matthew at the gmail) with your address for card delivery! Thanks again to everyone for reading and look forward to more giveaways soon. That is 1 sharp looking Roberts. I don't think I've seen a bad photo of him. the way the Phils are currently playing, I'm not surprised he doesn't want to be seen in Red Pin Stripes!! I have just one question to ask: HOW DID I NOT KNOW ABOUT THIS CONTEST!?!? It has the two things I look for in a contest. One - you get things by doing almost absolutely nothing at all. And two - the card on the header of the post feature a man with the furrowed brow, teasing and taunting you to try and knock the bird off his head. Matthew, thanks for the RobRob. And hosting the contest. And a great blog. Thanks again for the contest prizes, Matthew!